Immaculately maintained 3 Bed/2 Bath Home with Contemporary Flare, built in 2010. 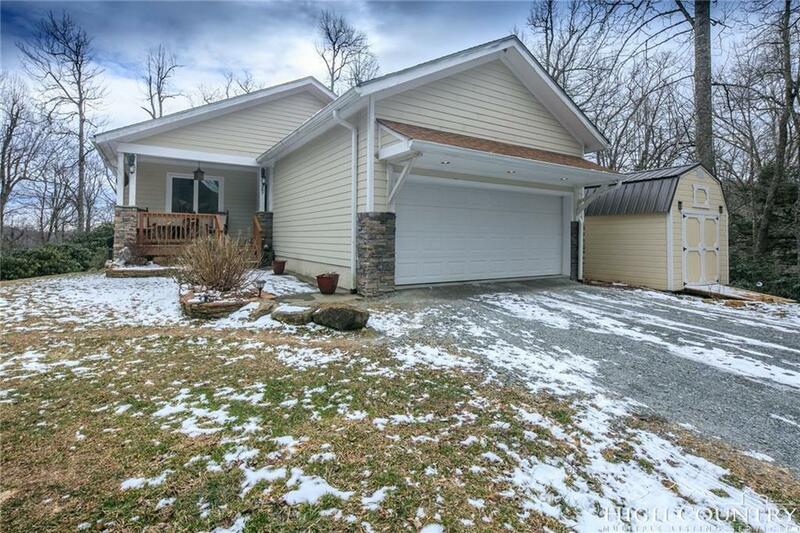 Killer location between Boone & Blowing Rock (Blowing Rock school district), nice private setting & easy access! True ONE LEVEL living with open concept, multiple decks for great outdoor space & 2 car garage. Large kitchen with granite countertops, gorgeous "tiger" wood floors, great functionality & open to the dining area. Living room is spacious with high ceilings & gas fireplace. A wonderful house to entertain in! Master suite has walk in closet w/built ins, master bath has heated tile floors, jetted tub & walk in shower! Two good size guest bedrooms with access to full bath (heated tile floors) with tub/shower combo. Large laundry with utility sink. Situated on a private 1 acre lot full of lush rhododendron makes for easy upkeep & beautiful scenery.